Georgia Heard is the author of Poetry Lessons to Meet the Common Core State Standards. She joins EDU to discuss the power of poetry to create lifelong readers. 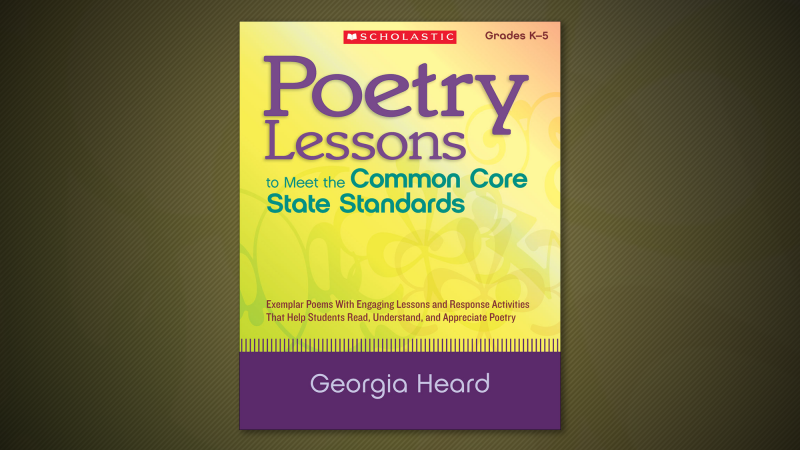 We are giving five readers the chance to win a copy of Poetry Lessons to Meet the Common Core State Standards. To enter for a chance to win, leave a comment below telling us your favorite poem to read with students. One entry per person. All entries must be submitted by 5:59 p.m. ET on April 20, 2018. U.S. residents, 18 and over, please. See the complete legal rules here. I don’t remember reading poetry as a child but I remember hearing poems. My mother recited nursery rhymes and verse such as: “Pease porridge hot/Pease porridge cold/Pease porridge in the pot/Nine days old,” and “Mairzy doats and dozy doats and liddle lamzy divey….” She didn’t sit down and explain the meaning of “Pease porridge hot" or “Mairzy doats.” It was the sound of my mother’s voice, and the music of the words, that made me fall in love with poetry. In my book Poetry Lessons to Meet the Common Core Standards, I share numerous ways to guide teachers and students in reading, understanding and appreciating poetry. My goal is to help students fall in love with poetry, and National Poetry Month is a perfect time to help grow this love and appreciation. Are poems easy to understand? 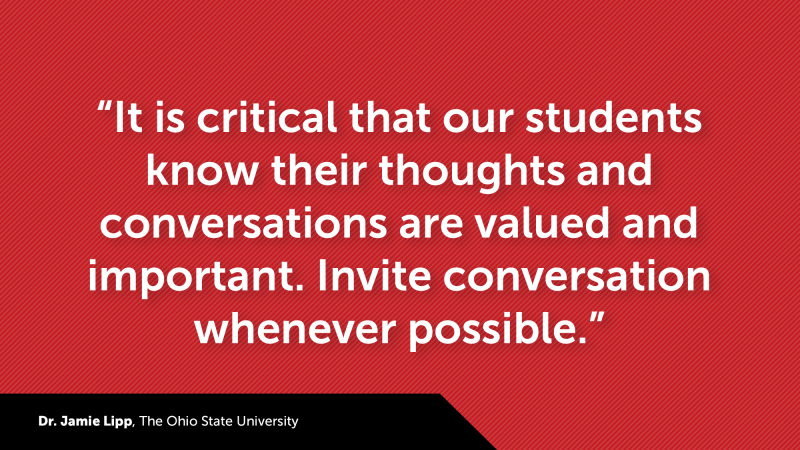 By starting with a conversation, teachers can gauge students’ prior understanding and knowledge of poetry which will inform future instruction. Read. Read. Read. Students need to hear and read poems–lots of them: poems that rhyme; poems with a rhythm that make us clap our hands and dance to the beat; poems that paint vivid pictures and images of, for example, waves breaking on the shore or the whisper of fall leaves; funny poems that will make us belly-laugh; poems that speak to all feelings, such as sadness at losing a beloved pet, shyness, or feeling lonely. Teachers can read both classic and modern poems that offer a variety of styles and forms. Poetry can be a window into diverse experiences and worldviews that may differ from students’ own, and can foster empathy and shared trust in a classroom and school community. Encourage small–group and partner reading as well as whole-class reading of poems. 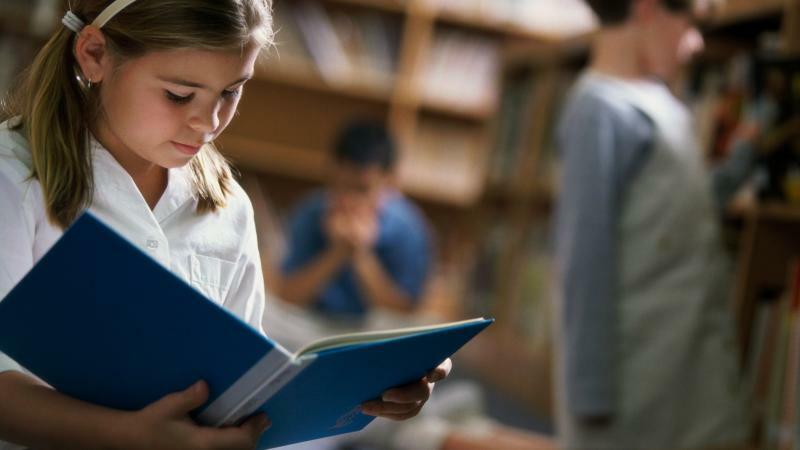 During independent reading time, teachers should make sure that there are plenty of poetry books and single poems available for students to read. Teachers can carve out a specific and predictable time every day to read a poem aloud: first thing in the morning, after students have unpacked and are getting settled, after lunch when they return excited and revved up from recess, at the very end of the day before making the transition to home. It only takes a minute or two to read a poem. Students can choose a poem they would love to read aloud, and then practice reading the poem before presenting it to the class. Poetry is a powerful way to help students develop oral fluency. Choral reading is also a fun and supportive way for students to read poetry aloud. Look for opportunities to include poetry in other contexts, such as during science or social studies. Middle and high school teachers can share a poem at the beginning or end of class. Keep copies of the poems , and when students love a particular poem give a copy for them to keep. As students listen to poems, ask them to point out what they notice and what elements of poetry the poet might be using, and then add those to a growing What We Know About Poetry chart. Invite students to respond to a poem by writing a brief response, or personal reflection, in their notebooks and then share and discuss these responses with the class. Encourage deeper reading by rereading and discussing one poem over a period of several days. 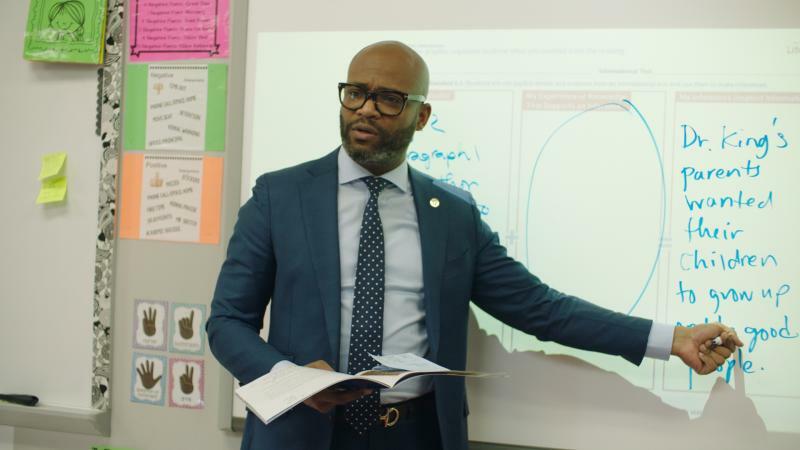 In no time, students will grow an understanding, and a lifelong love and appreciation of poetry that will spread way beyond National Poetry Month. One of my favorite poems to read aloud to students is The Homework Machine by Shel Silverstein because of its humor and rhythm. I love to share Mary O’Neill’s collection of poems called Hailstones and Halibut Bones. They are all poems about a particular color. Students love the vivid language and it is a great mentor text for students writing their own poems. I love to read Sick by Shel Silverstein every year to my students. I love to see their faces when we get to the end of the poem and the speaker realizes it’s Saturday and there’s no school. I always get laughs. So many poems! I love teaching "The Midnight Ride of Paul Revere" to my fifth graders. I also use "The Stranger" and "Casey at the Bat". These are two of my favorites you analyze with students to show plot and other poetry elements. I love to explore A Dream Deferred by Langston Hughes with my 7th graders as a connection to the characters in The Pigman by Paul Zindel. I share a poem every day during April with the whole school. My favorites are anything by Shel Silverstein because it is so funny. But we also do a series of Earth day poems to help with our Earth day celebration. We also have students memorize poems and share in our morning announcements. And out librarian does a contest with kids memorizing poems. I love all poetry by Emily Dickinson, but when I want to draw my students in to poetry we read “Can You See the Pride in the Panther” by Tupac Shakur. I teach my 10thgraders rhyme scheme using a variety of poems by a Tupac...and the students typically choose Tupac’s poems when we do our poetry station ions test. I like to introduce poetry with Katy Perry's song "Firework". It helps students connect to poetry. I admire and like to teach the poem 'The Cookie Thief by Valerie Cox'. It is surprisingly funny and touching. It tells about everyday mistakes that humans commit- being wrongly judgemental. We just finished up a unit on poetry, and I actually got my student's personal poetry published into a book! They were so excited and loved every poem we read and every type of poem we wrote. They loved Shel Silverstien. I was really surprised how much they loved "Dream Deferred" by Langston Hughes. They're 4th graders, but they talked for a good ten minutes about what the poem meant and were applying it to their personal lives and situations right now. One poem in particular that I love to share with my 4th graders is The New Colossus by Emma Lazarus! I really enjoy doing a poetry lesson using Jabberwocky. By Lewis Carroll. It's a fun poem for students. I enjoy seeing their confusion at first and hearing what they are visualizing. Then looking at the rather. My favorite part of this lesson is breaking the poem down and discussing what it can mean by looking at adjectives, verbs, nouns etc. Then seeing their wheels start turning. It's a very engaging and fun poem to use! I really like "The Swing" by Stevenson. My middle daughter learned it by heart to recite when we went to the park, she was only 7 yrs old. Now over 20 years later I share in the spring with my students. It brings you back to that moment on the swing . . . I love sharing haiku examples and recently discovered GUYKU by Bob Raczka. I also adore Shel Silverstein. I love to read The Jabberwoky from Through the Looking Glass. I enjoy having students explain what they think all the nonsense words are and draw what they think they look like. It also is fun for the kids to get inspired to make up their own nonsense words for their poems. I love to use Casey at Bat to teach tone and mood, Dust of Snow, and The Road Not Taken to my fourth graders for theme. William Carlos Williams This is Just to say. Then they rewrite the poem and I post in a display. Reinforces parts of speech as well. Every year we read The Midnight Ride of Paul Revere. I love to read Stopping By Woods on a Snowy Evening by Robert Frost with my New England students in the winter - first listen and visualizing it, then reading the beautifully illustrated version by Susan Jeffers. You can even YouTube Robert Frost reciting it!